We all have that one drawer where everything goes to die, and most of it is probably crap we don't need any more. But there are also gadgets and gizmos aplenty that actually are useful to have on hand. Here are some goodies that deserve a spot in your junk drawer, but are absolutely, positively not junk. 1. A clever multipurpose tool that opens to reveal a menagerie of animal friends ready to cater to your every need. 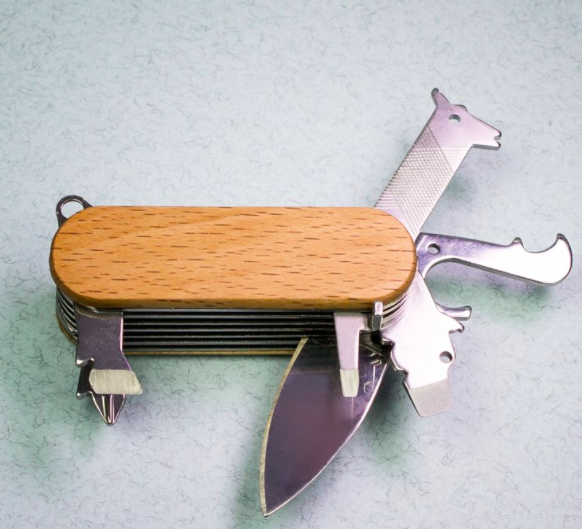 It includes seven tools (a flathead and a Phillipshead screwdriver, a file, a wire stripper, a hole puncher, a bottle opener, and a utility knife), plus the friendly faces of a rhino, a hippo, and a llama. 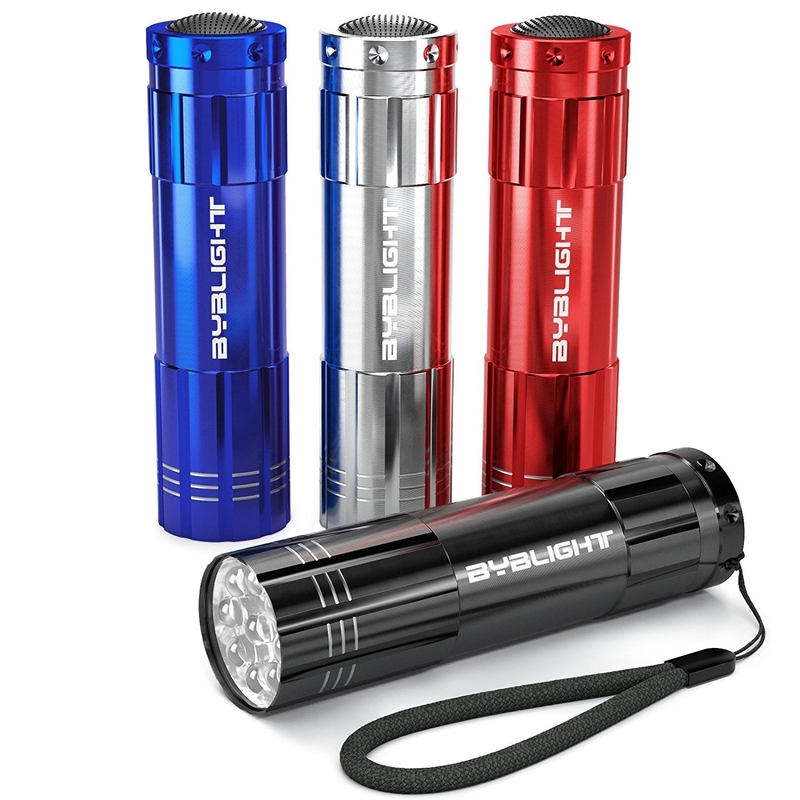 Keep it in your drawer for emergencies and take it with you on any upcoming adventures. You'll be prepared for any situation, no matter how wild. Get it from Amazon for $16.70. 2. Some great scissors (because those little craft ones you've had since sixth grade no longer cut it), like this pair with over 2,000 positive Amazon reviews. Get a set of two from Amazon for $9.89. 3. 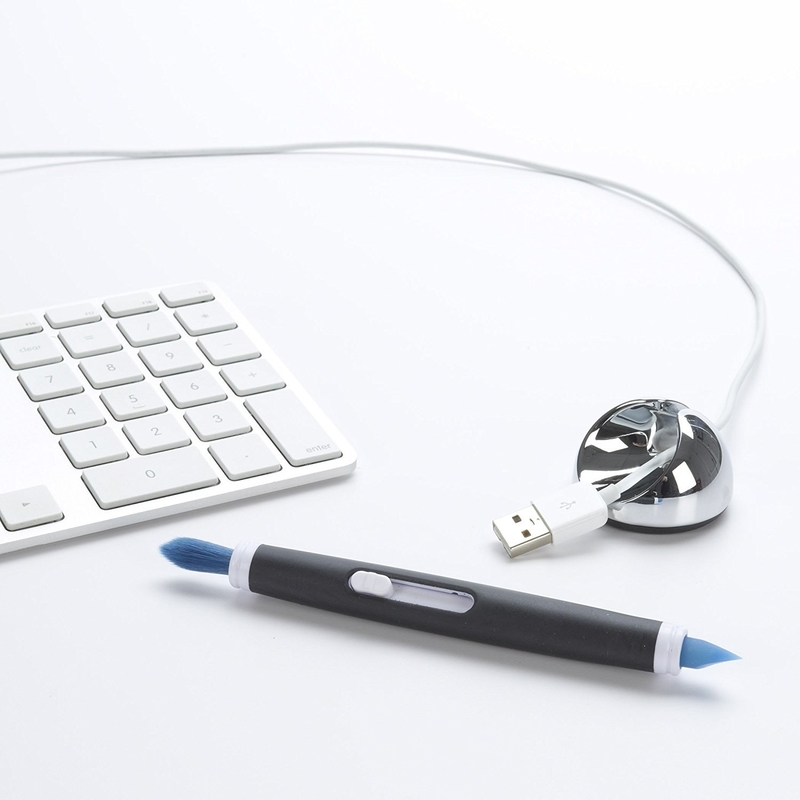 A double-sided electronics cleaning brush to make all your devices look brand-spankin' new. 4. Some nice nail clippers like this scaly duo Ariel would totally kill to add to her grotto. Get a set of two from Amazon for $3.99. 5. 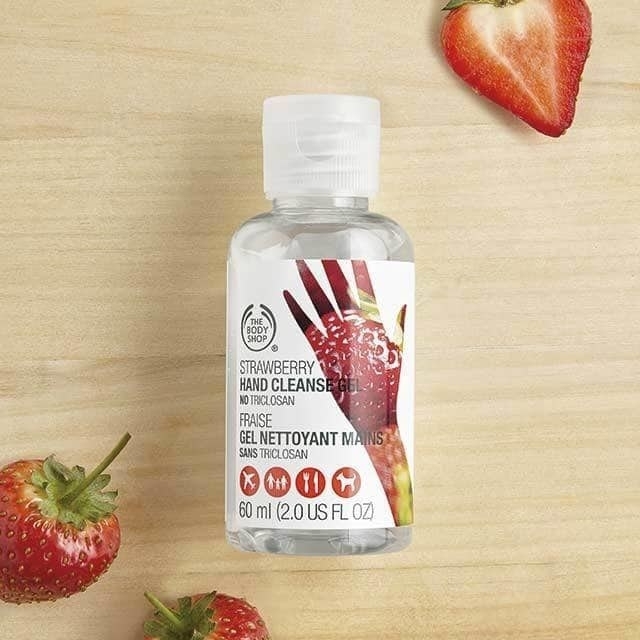 A little bottle of hand sanitizer in a yummy scent like strawberry or coconut, so your whole house doesn't smell like a doctor's office after you put it on. Get the strawberry for $2.50 or the coconut for $5, both from The Body Shop. 6. 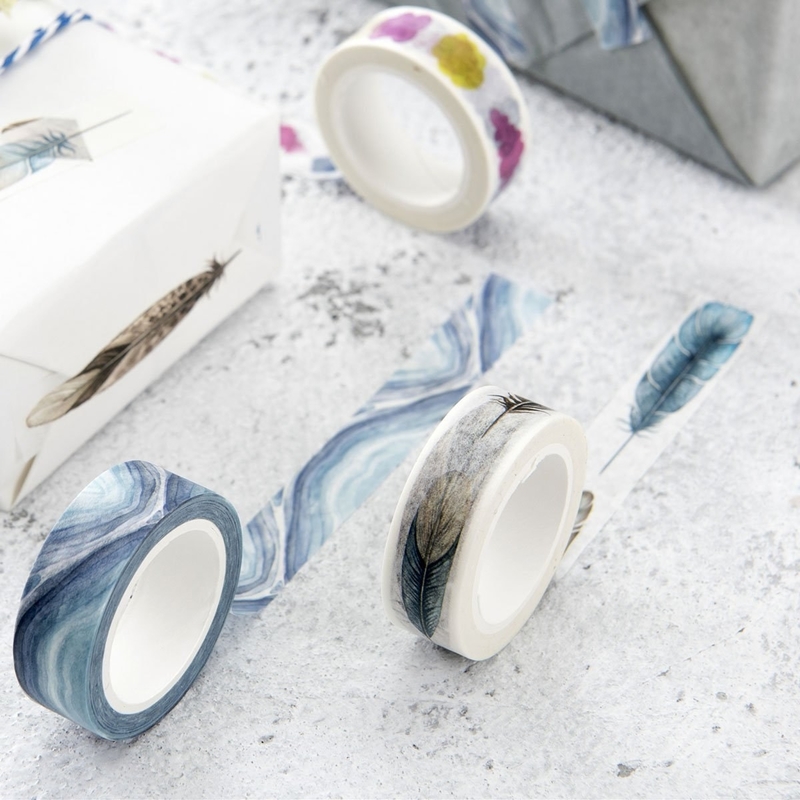 A stocked mini sewing kit you'll be sew glad to have in tricky wardrobe stitch-uations. 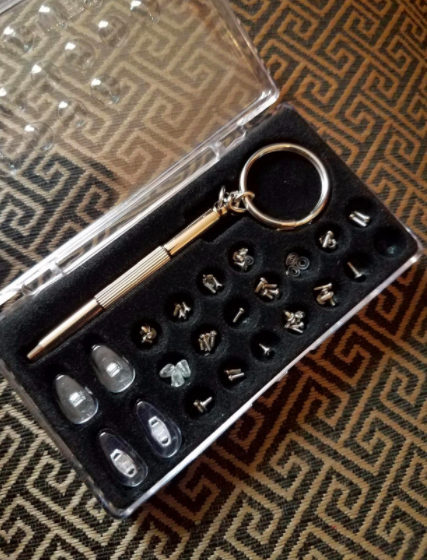 This one includes scissors, 12 spools of thread, measuring tape, 16 needles, three buttons, two needle threaders, a safety pin, two straight pins, a seam ripper, and a thimble. Plus, it's super compact (the case is an approximately four-inch square). 7. 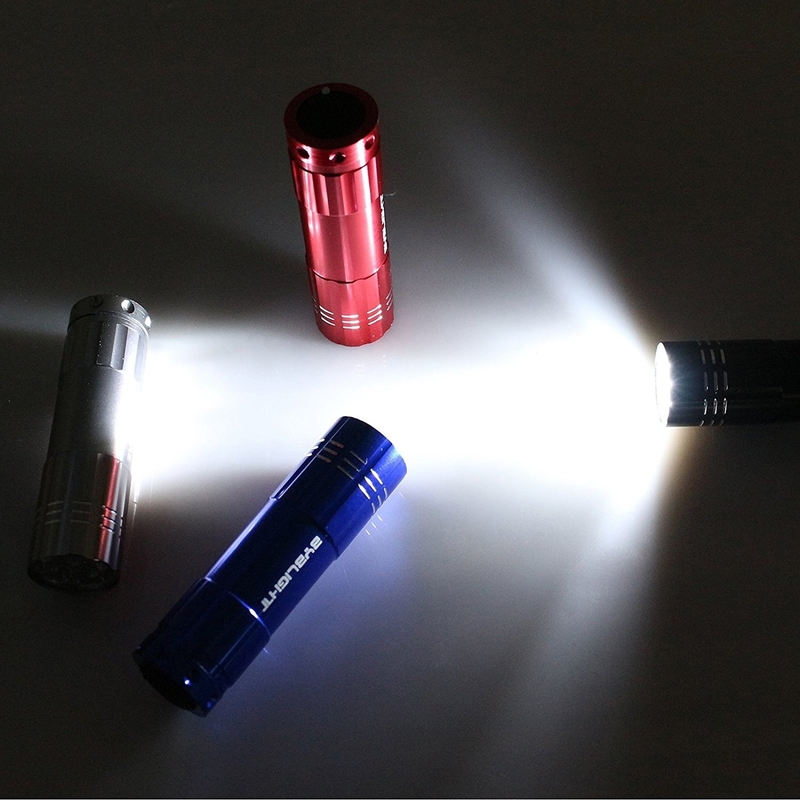 A mini LED flashlight so you can take Dumbledore's advice and turn on the light even in the darkest of times. They require AAA batteries, which are also not a bad thing to have in your junk drawer! 8. Classic Tide To Go, which is the perfect, lazy way to remove stains even when you're not on the go. I actually find that I use these more when I'm at home than when I'm out and about. The number of times I've spilled something on my couch cushion and been saved by one of these babies is so high it's embarrassing. Get a pack of three from Amazon for $5.99. 9. 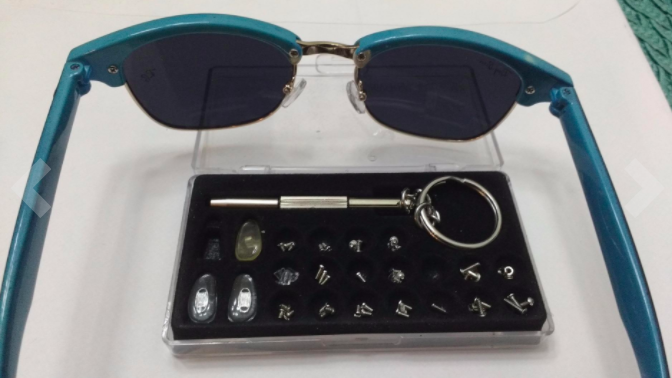 A glasses repair kit so compact and convenient, it's easy to see why you need it. Well, at least it will be once you fix your glasses. This super handy kit includes extra nose pads, assorted nuts and screws, and a double-ended screwdriver with both Phillips head and flat tips. Plus, over 1,400 four-eyed Amazon reviewers love it. Get it from Amazon for $6.69. 10. Some emergency cash safely stashed in discreet fabric envelopes because you never know when you'll need to take the money and run (or, you know, tip a delivery guy). The different colors make it easy to set aside (and remember) cash for different purposes, and a breeze to find your moolah in a cluttered drawer or bag. 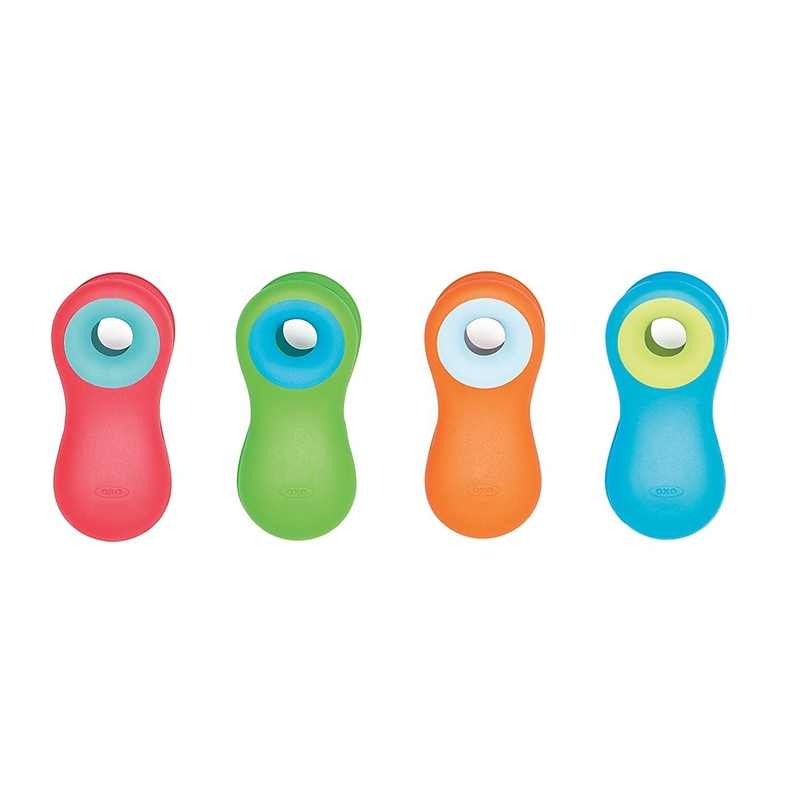 Get a set of five from Amazon for $19.95 (available in four color combinations). 11. 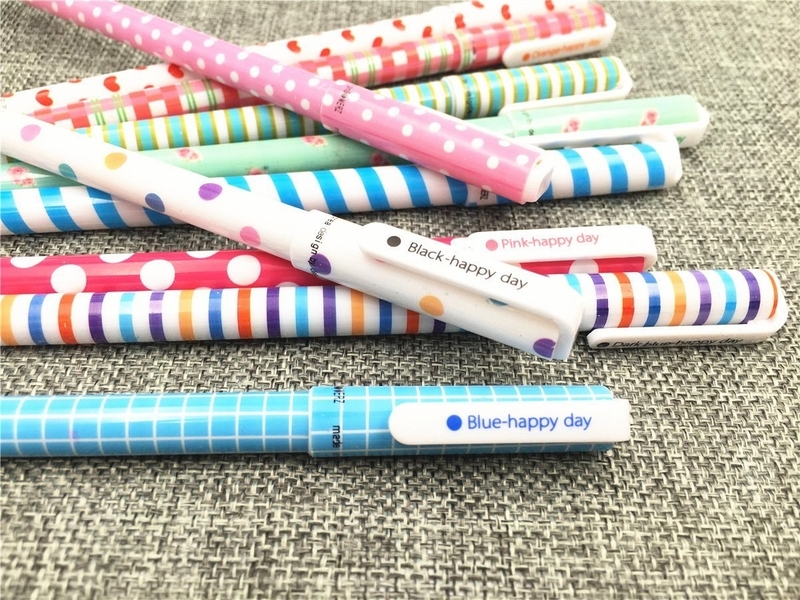 Pretty and practical gel pens sure to make you smile every time you write a note-to-self. 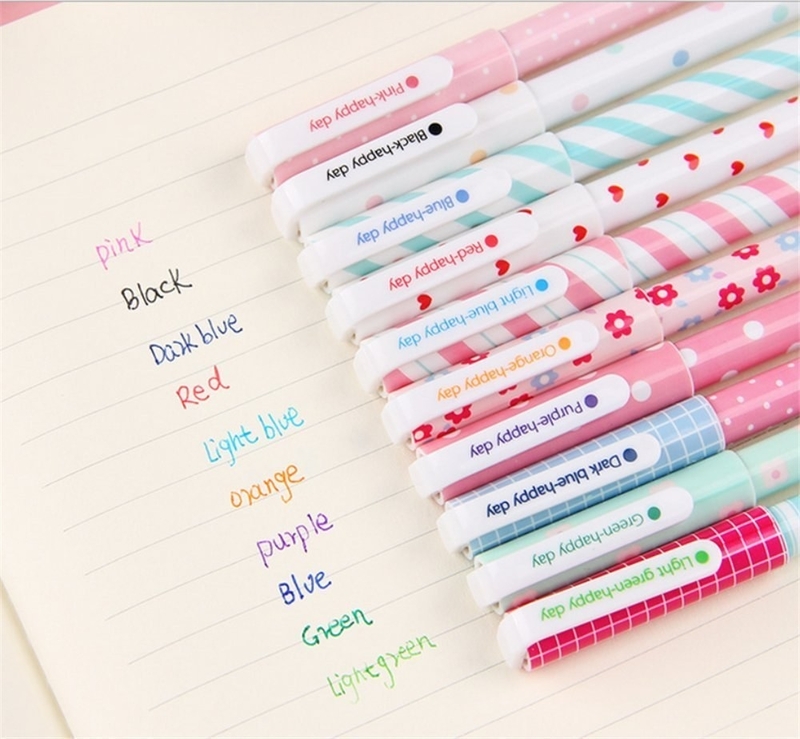 Get a set of 10 from Amazon for $6.92+ (available in two pattern combinations). 12. Some mini notepads for recording all your genius thoughts or your equally important grocery list. These are also the perfect size for a purse or pocket. Get a set of 12 from Amazon for $12.97 (available in three design combinations). 13. 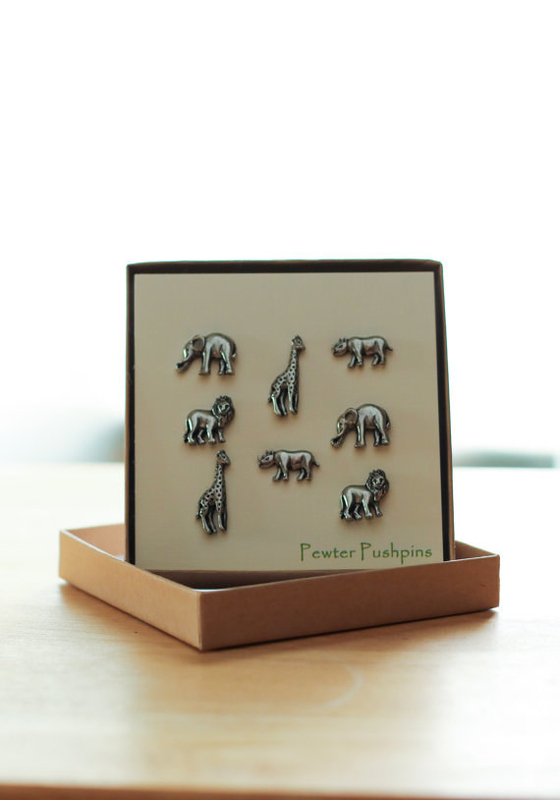 Fun push pins for displaying all your memos with tack-t.
Get a set of eight from jimclift on Etsy for $12.95. 14. An extra pair of earbuds for when your usual pair inevitably gets lost or tangled. This is 2018, people — a day without my headphones feels like a day in the Dark Ages. In fact, this super-affordable pair may even replace your old faves — over 44,000 Amazon reviewers swear by them! Get them from Amazon for $7.89+ (available in eight colors and with or without a mic). 15. 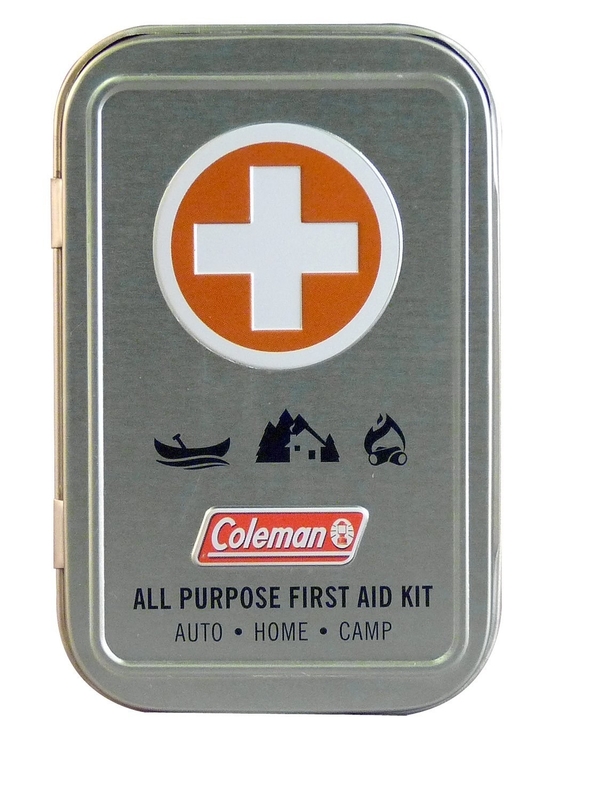 A basic first aid kit so you can go full Dr. House even when your friend just has a paper cut. "Stay calm, I just need to grab something out of my junk drawer." 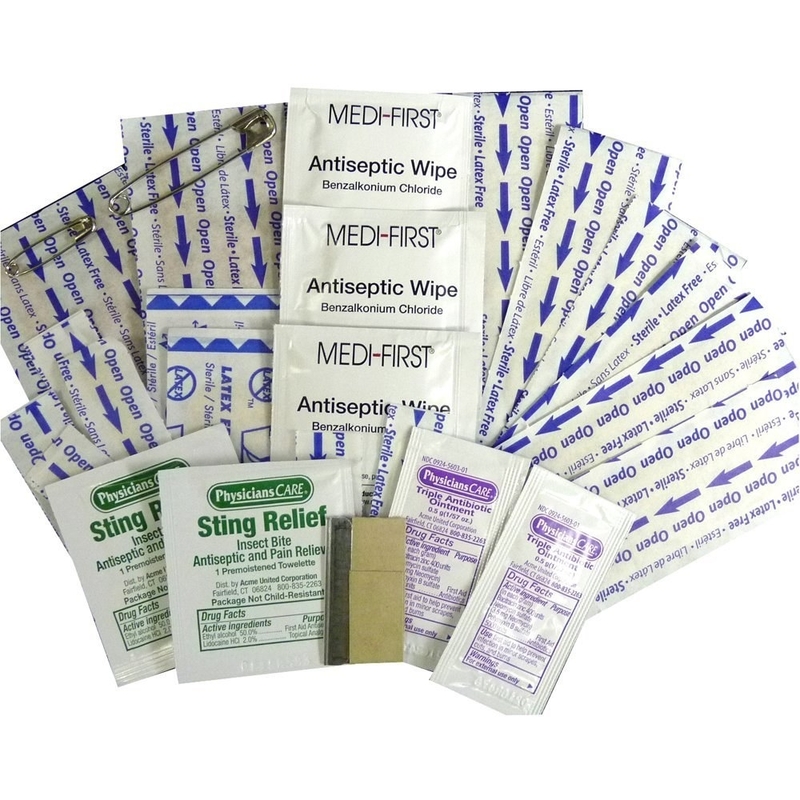 This mini kit includes three antiseptic wipes, two packets of antibiotic ointment, two sting relief wipes, sixteen assorted bandages, two safety pins (one small, one large), and a razor blade. Get it from Amazon for $5.64. 16. 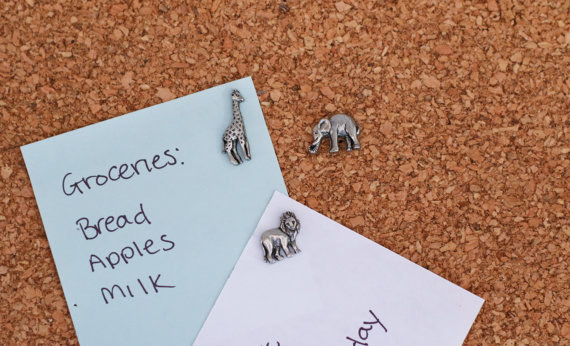 Some sweet sticky notes to help you make like an elephant and never forget your most crucial to-dos. These pads are so cute, it won't be a bird-en. Can your roommate even get mad about a passive-aggressive reminder to take out the trash if it's written on a pink elephant? I really don't think so. Get a set of two 100-sheet pads from Amazon for $3.29+ (available in two animals). 17. 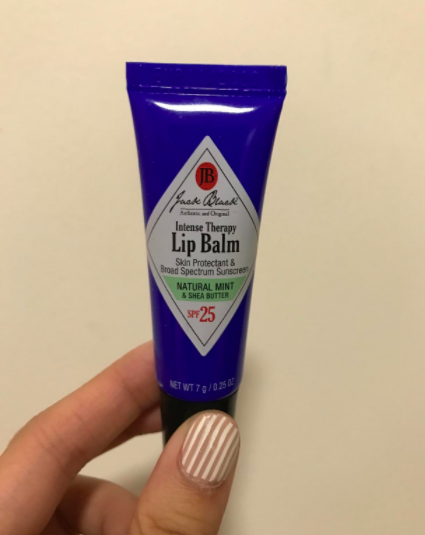 A luxe lip balm like this cruelty-free one with SPF 25. You'll love it so much, you'll probably want one in every drawer in your house. 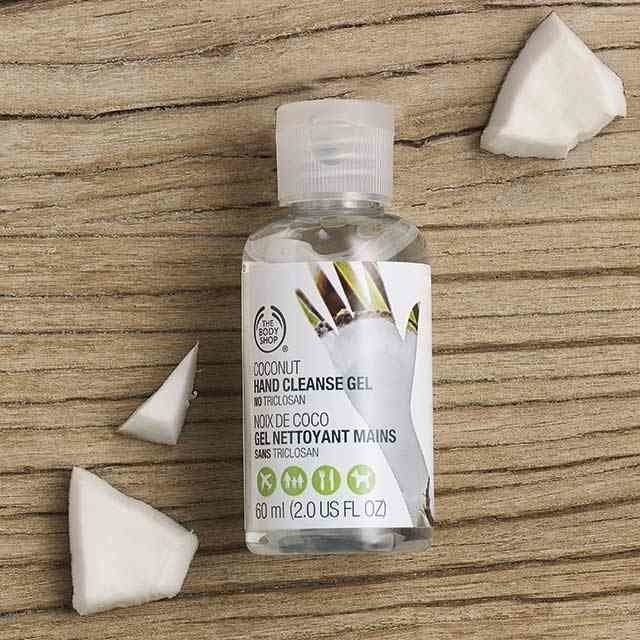 Get it from Amazon for $7.50 (available in five scents). 18. 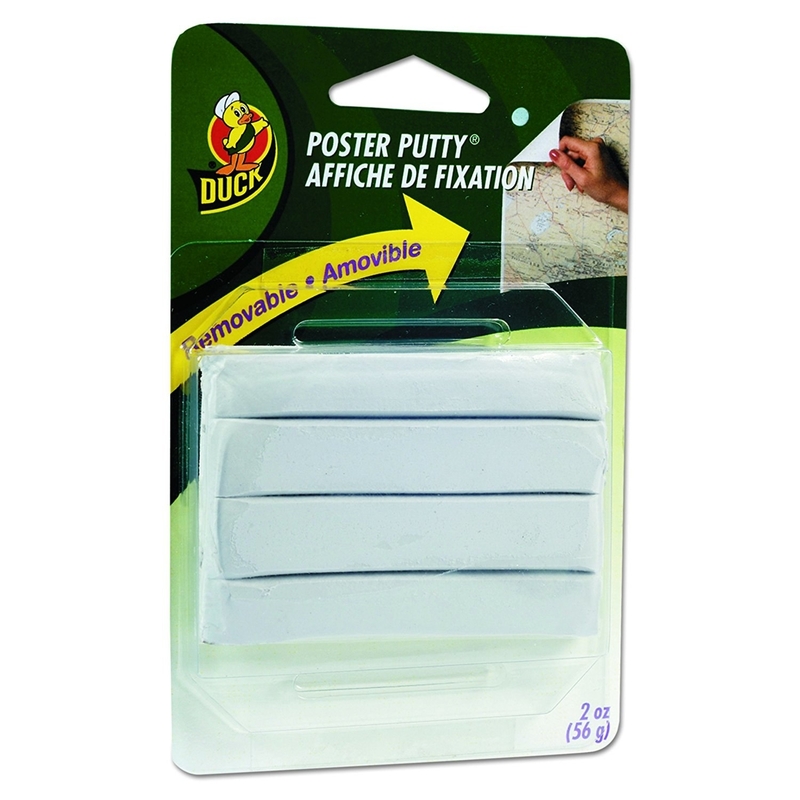 A pack of super-strong poster tack that's also great for hanging heavier objects or for whenever you need an easy adhesive around the house. 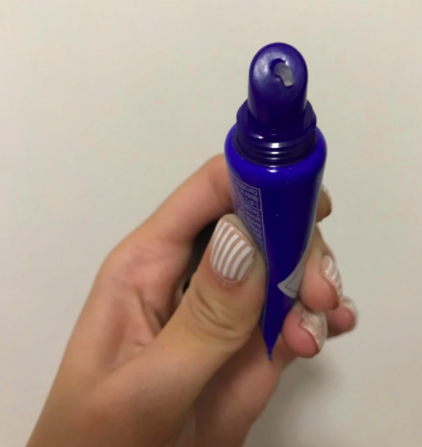 This versatile putty is reusable and can even be used to make quick repairs in a pinch — one reviewer says he used it to re-adhere a part of his TV remote! Promising review: "I wasn't having any luck with Command Strips on our walls, so I thought I'd try using this to hang a couple of canvas pictures. I used several balls of putty around the edges, and it worked much better than the strips. 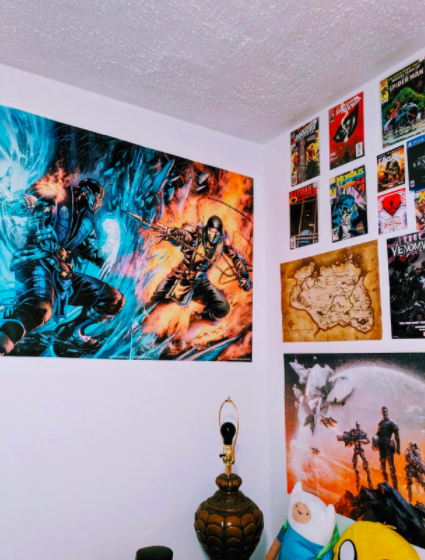 Plus, there hasn't been any damage when I've had to take it off the walls." —Logan. 19. 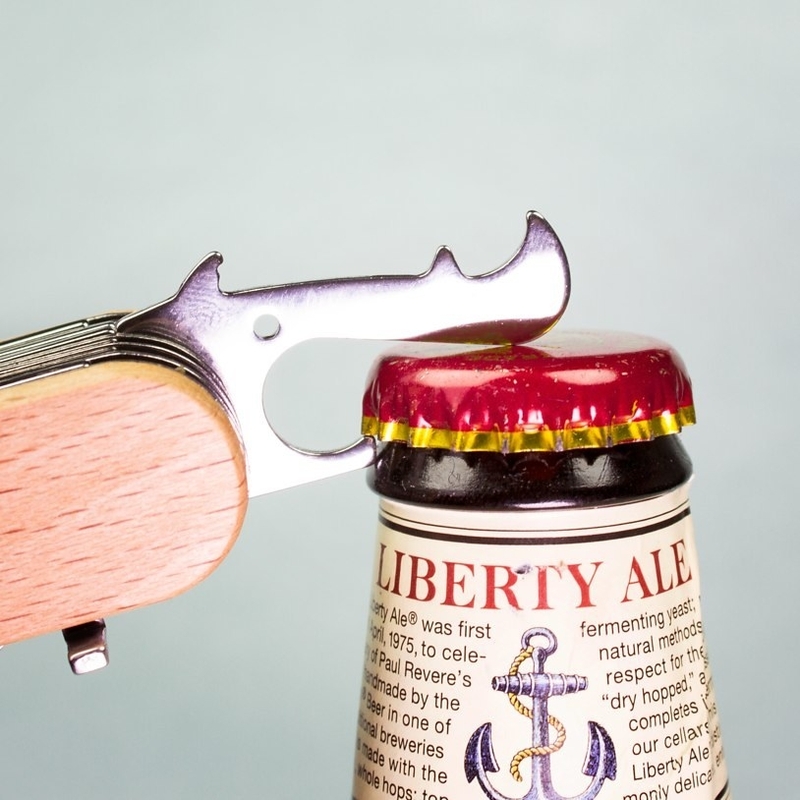 A cool bottle opener so you'll look resourceful AF every time you open a drink (even if you can barely screw in a lightbulb irl). It's made of cast iron, so it'll feel as sturdy as it looks. Get it from Uncommon Goods for $19 (available in wrench or hammer styles). 20. A handy lint roller (be it basic or fun) that's a must have for anyone with a shedding pet and/or a love of black clothing. 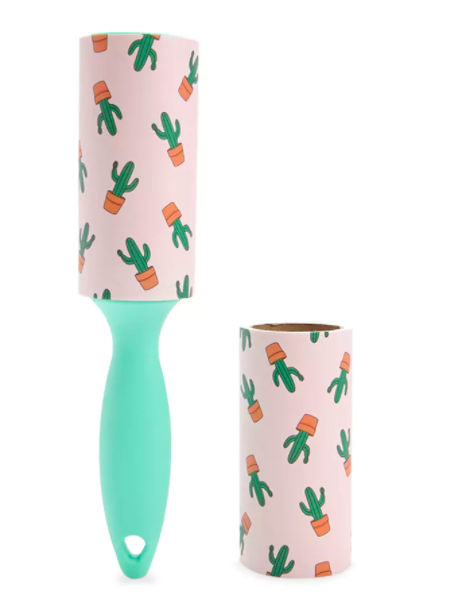 Get a set of two basic rollers from Amazon for $9.05 or the cacti roller from Forever 21 for $2.90. 21. A rich shea butter lotion your hands will thank you for 🙌. 22. 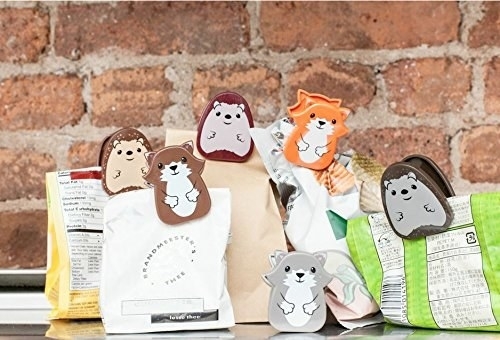 Some adorable bag clips (be they wildlife-inspired or bright and magnetic) that really are all that and a bag of chips. Get six of the woodland critters from Amazon for $7.95, or get four of the colorful magnetic clips from Amazon for $6.99. 23. 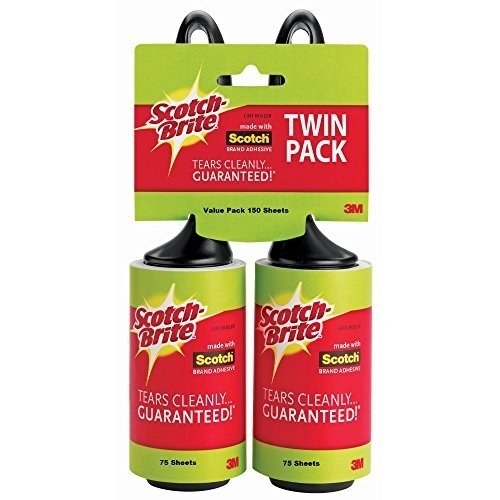 A pack of surface cleaning wipes that are clearly great for glass and mirrors, but also for every other grubby surface in your home as well. 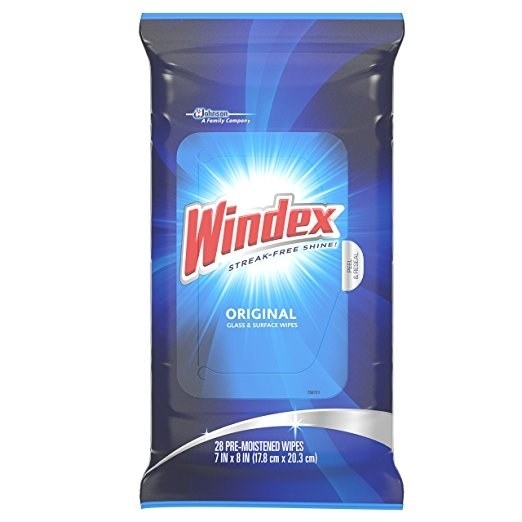 Get them from Amazon through Prime Pantry for $3.09. 24. 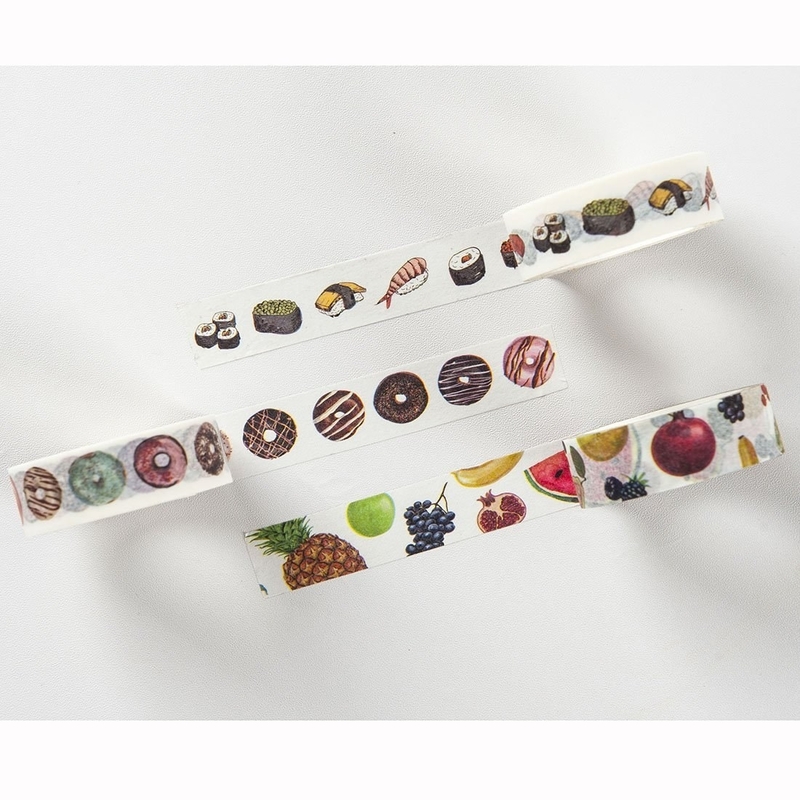 Some cheery washi tape that's not like regular masking tape, it's cool tape. 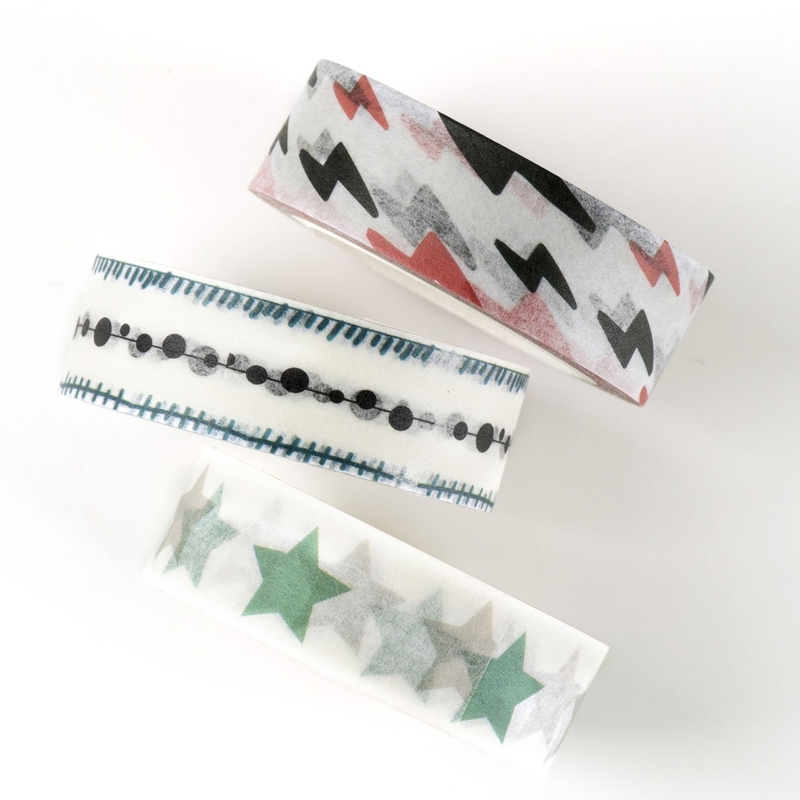 Get the artsy designs or the food for $9.95 or the stars and lightning bolts for $7.67, all from Amazon. 25. 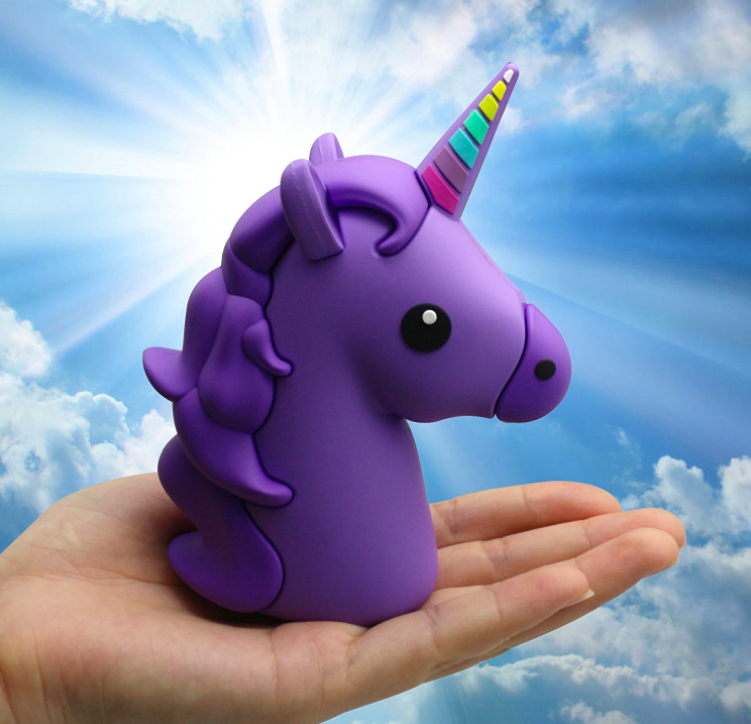 Something fun and silly that's also practical, like some squishy fidget toys or a truly magical external battery. If there's one thing I know to be true in this chaotic world, it's that everyone should have something whimsical in their junk drawer. 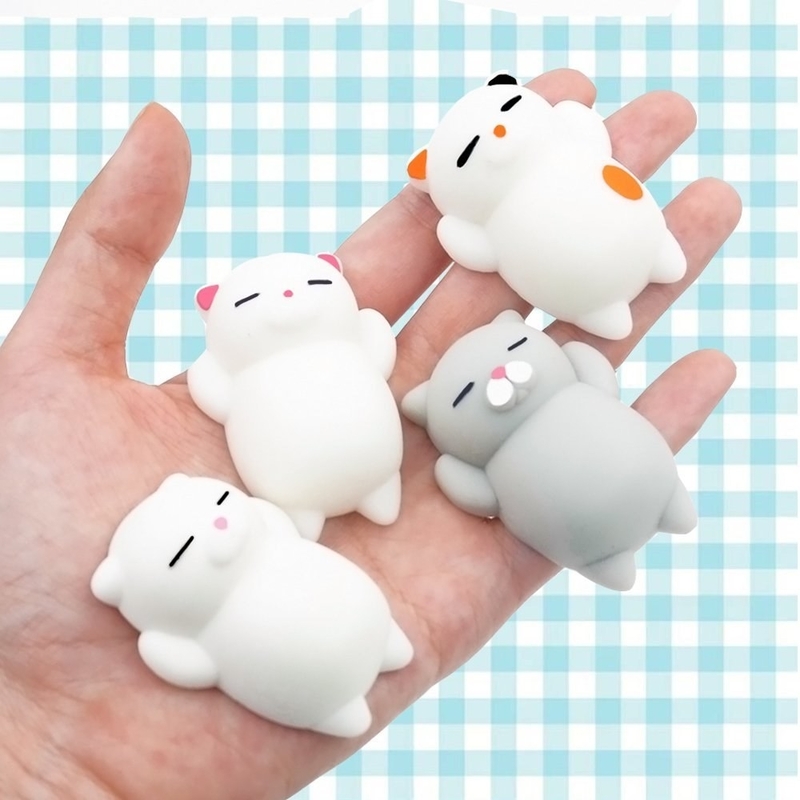 Get a set of four kitty squishies for $5.99 or the unicorn charger for $13.99+ (available in nine colors), both from Amazon. 26. And finally, keep all your not-junk tidy with a genius customizable drawer organizer. The kit includes a grippy silicone mat that you can cut to fit your drawer, plus fifteen divider pieces (in assorted sizes) that can be positioned any way you like to keep all your goodies in their rightful place. 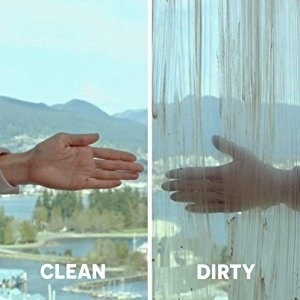 Promising review: "Perhaps you are fortunate enough to have a kitchen with separate knife and junk drawers. I don’t! So when I fount this drawer organizing system, I snatched it up. It’s been keeping my combo knife/junk drawer in order ever since. The non-slip silicone base is lined in a grid, which makes cutting it to size with a pair of scissors easy. The little nubs, aka Divitz, stick securely to the surface and don’t budge when you’re rummaging through your drawer. But if you want to reposition them, it’s not an excruciating task, and my kit came with way more than I needed." —Elizabeth Lilly. Read her full review here (#11). Get it from Amazon for $34.99 (available in two colors).